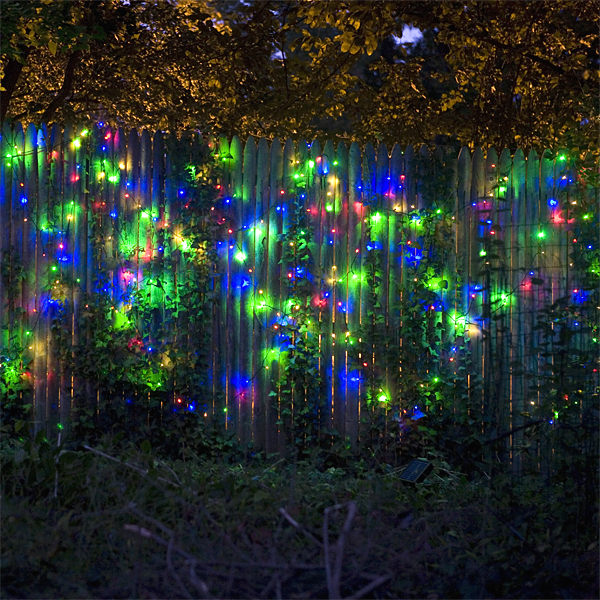 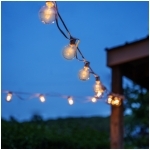 The 77 ft. solar LED multi function string lights are uniquely powered by an integrated solar panel connected to the multicolor light string. 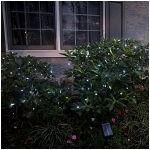 Plant the stake in the ground where it will get full sun and the photo switch in the solar panel automatically turns itself on at night. 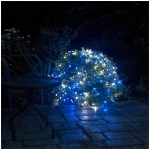 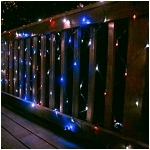 Features 200 LED multicolor string lights in red, green, yellow and blue on green wire. 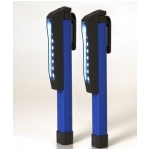 Multi function switch allows for eight different settings from steady light to chasing, flashing and more. 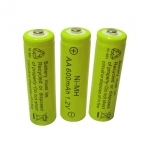 Uses 3 rechargeable NiMH batteries.